Last Sunday, my friends Erica and Darius decided to take advantage of the great weather and organized a quick walk through EUR. I still have problems pronouncing the area’s name correctly. 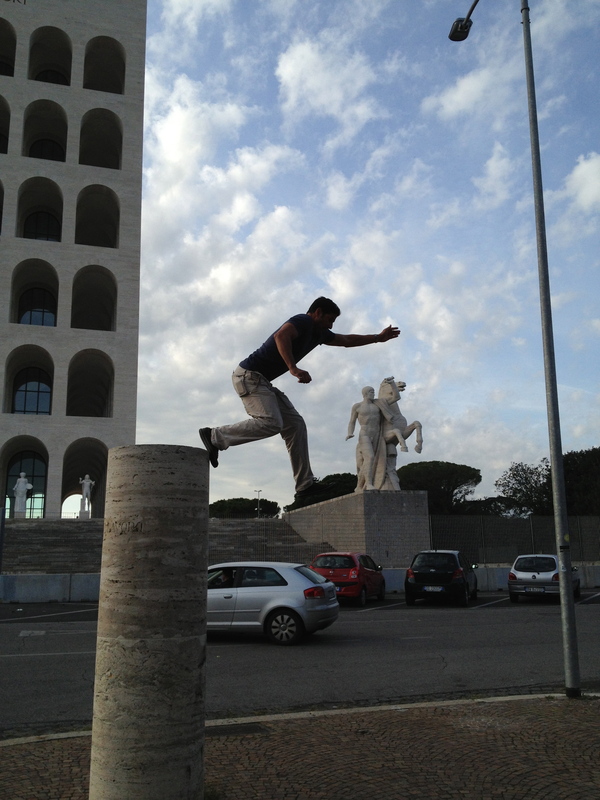 The second time I visited Rome, a friend from L.A. was in town. 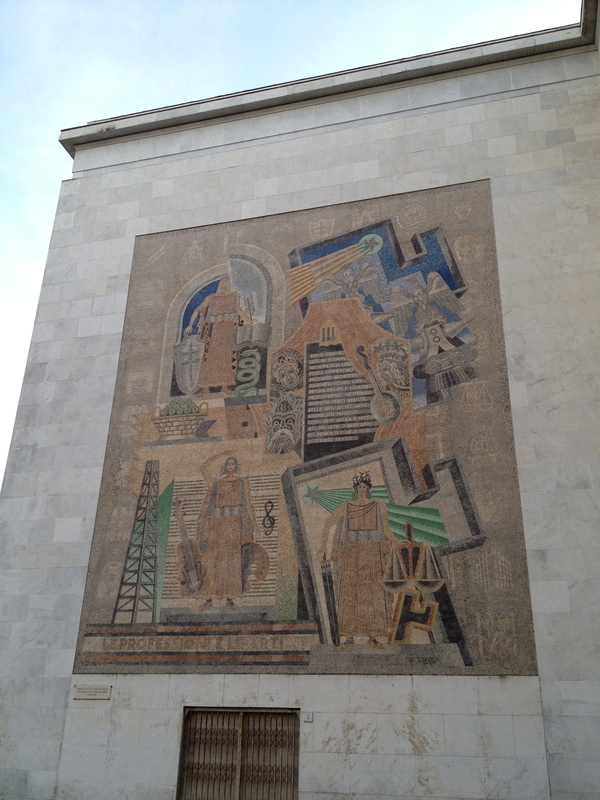 She asked her lover (they met the year before) if he could show us around EUR. That was a fun afternoon as my friend spoke no Italian and Marco spoke several languages but none of them were English. However, they spoke the universal language of love lust, so it was all good. On Sunday, I met up with the rest of the Twitter folks (aka Tweeps). One of Darius and Erica’s friends was born in the area and still lives there. He knows the area well and it was fascinating to hear his point of view. 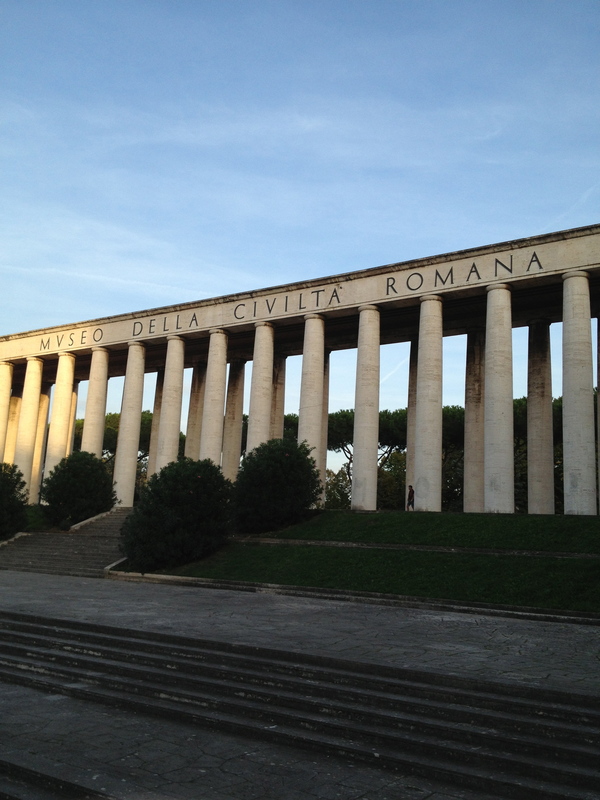 If you have any interest in architecture or 20th century Roman history, EUR is definitely worth a visit. It’s a very unique neighborhood. Here are a few snapshots from Sunday. Darius jumps. He landed safely. This building reminds me of the late great old Penn Station in New York City, designed by McKim, Mead & White. 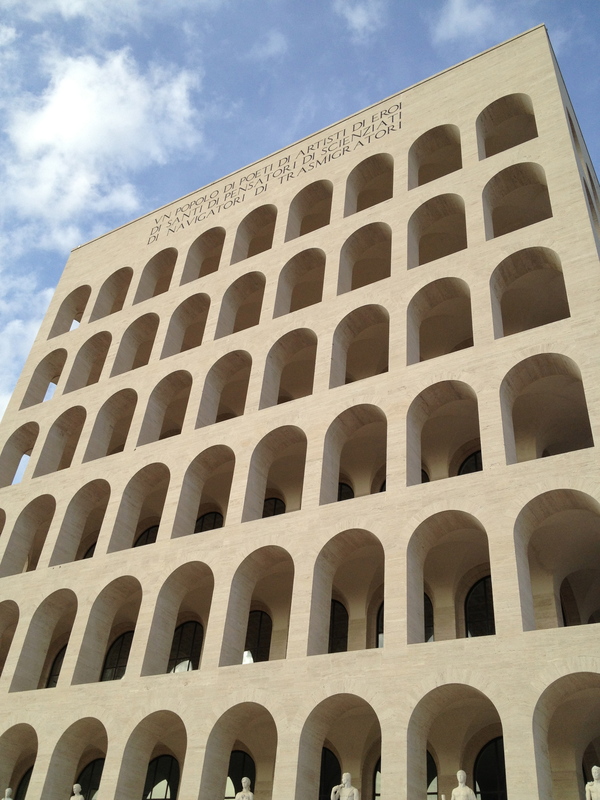 The architects of that landmark were inspired by the Baths of Caracalla and other buildings from ancient Rome. 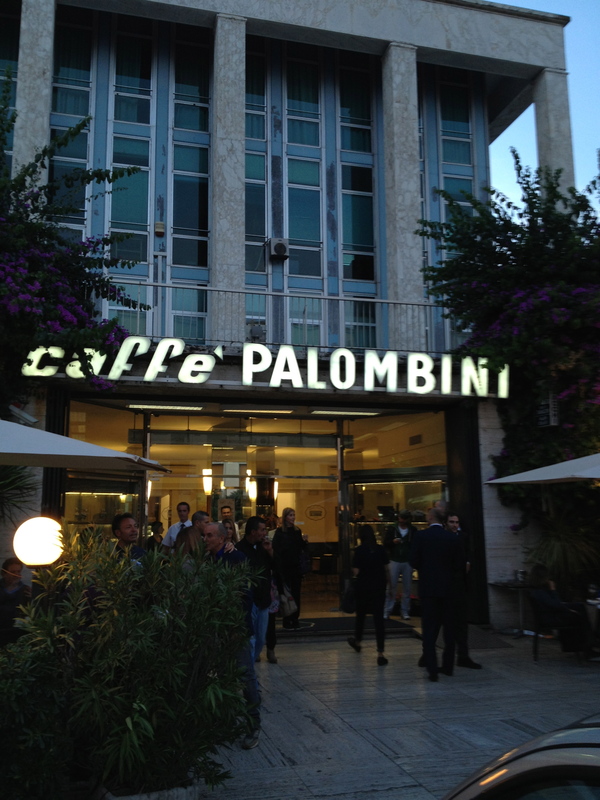 We ended our walk with aperitivi at the famous Caffè Palombini. There’s outside seating. Perfect during a warm evening. 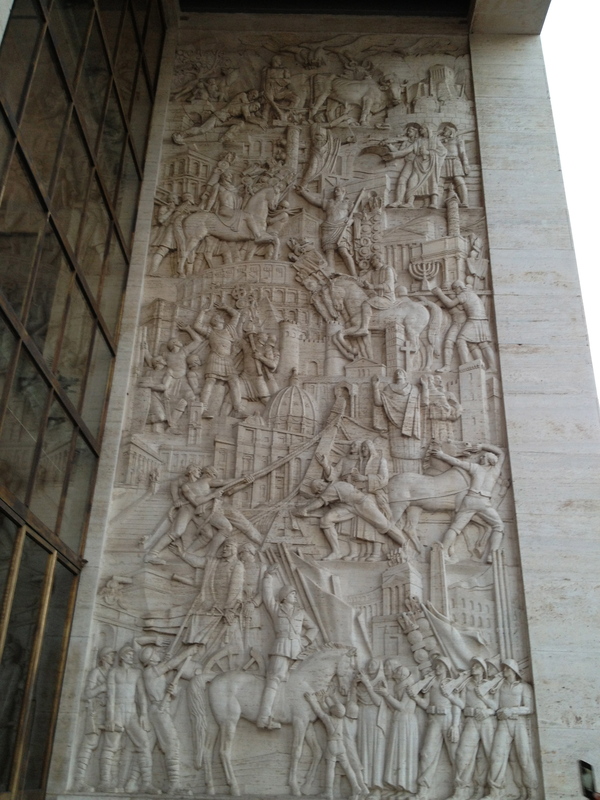 I find all the white marble and straight lines of EUR very soothing after living in crazy, curvy, baroque Rome. I know what you mean. The vibe there is completely different.